Happy Wednesday! 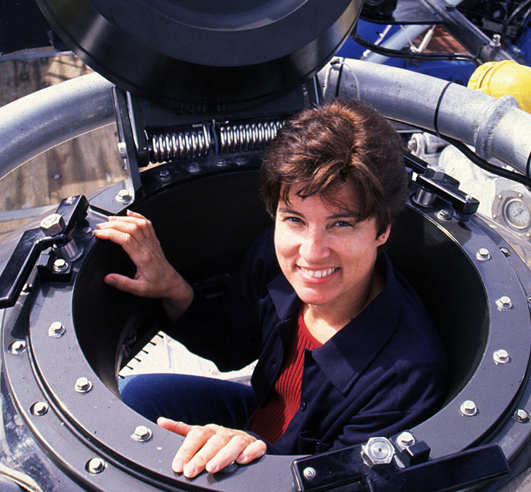 This week, we’re going to take a closer look at ocean biological researcher Dr. Edith Widder! Dr. Edith Widder established the Ocean Research & Conservation Association (ORCA) to lead the effort of translating complex scientific issues into technological solutions, and to foster greater understanding of ocean life as a means to better, more informed stewardship. “Our focus is on reversing the trend of oceanic and near-shore marine ecosystem degradation using the scientific integrity of a research institute,” said Dr. Widder. Dr. Widder is uniquely suited to apply scientific methods to furthering marine conservation efforts. Her research involving submersibles has been featured in BBC, PBS, Discovery Channel and National Geographic television productions. 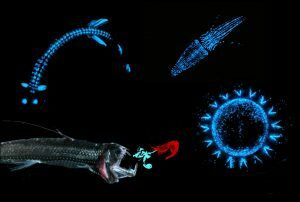 A specialist in bioluminescence (the light chemically produced by many ocean organisms), Dr. Widder has been a leader in helping to design and invent new submersible instrumentation, and equipment to enable unobtrusive deep-sea observations. Working with engineers, she has conceived of and built several unique devices that enable humans to see beneath the waves in new ways, including HIDEX, a bathyphotometer which is the U.S. Navy standard for measuring bioluminescence in the ocean; important information for keeping submarines hidden from above. Dr. Widder also built LoLAR, an ultrasensitive deep-sea light meter that measures light in the deep ocean, both dim down-welling sunlight and bioluminescence – both important determinants of animal distribution patterns. Dr. Widder also created a remotely operated deep-sea camera system, known as ORCA’s Eye-in-the-Sea (EITS). When deployed on the sea floor, automatically detects and measures the bioluminescence of nearby organisms. 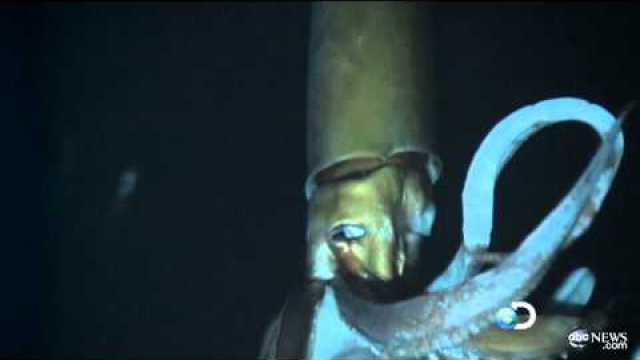 EITS has produced footage of rare sharks, jellyfish, and discovered a new species of large squid (over six feet in length), all in their natural habitats. Dr. Widder and her unobtrusive camera system were featured on the Discovery Channel series Midwater Mysteries and PBS’s NOVA ScienceNOW. 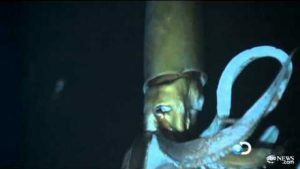 In the summer of 2012 Dr. Widder, along with several other scientists, filmed the giant squid in its natural habitat for the first time ever. The historic footage aired on Curiosity on the Discovery Channel in January of 2013. Her innovative work earned her the 2018 Explorers Club Citation of Merit; she became one of just six women to earn this honor. Let us know if you’d like to bring Dr. Edith Widder to speak to your organization, campus, or conference!